Police are renewing appeals to trace two missing teenage boys from Suffolk, who are believed to be together. 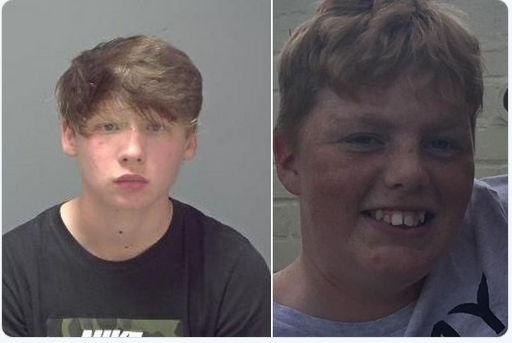 14-year-old Jamie Stevens from Felixstowe and 15-year-old Freddie Taylor from Bury St Edmunds, were both last seen on Monday 1 April. It was initially thought that they may have been in London together, but it is now believed they could be in the Braintree area of Essex. 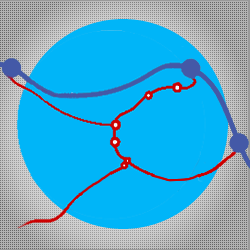 They also have links to Tiverton in Devon and Yeovil in Somerset. Jamie is described as white, approximately 5ft 8in tall, with light-brown hair. When he was last seen he was wearing black jeans, a black Nike top, black hooded top, black The North Face Gilet and black Nike trainers. Freddie is described as white, 5ft 11in tall and with ginger hair. He was last seen wearing a grey Boss tracksuit, black The North Face Gilet and black trainers. Officers are concerned for their welfare and are asking anyone who may have seen them, or who has any informatoin regarding their whereabouts, to contact the duty sergeant at Bury St Edmunds Police Station on 101. Police are appealing for help to trace two teenage boys. 14-year-old Jamie Stevens from Felixstowe & 15-year-old Freddie Taylor from Bury St Edmunds were both last seen on Monday 1 April. Officers believe they may now be together in London. Jamie is described as 5’7-8” tall, short to shoulder length hair. When he was last seen he was wearing black jeans, black Nike top, black North Face Gilet, black hooded top with black Nike trainers.